Aluminum Alloy Spinning Lighting Pole,Lightest Aluminum Alloy,Aluminum Alloy Torchlight,Lightweight Aluminum Alloy,New Products Lighting Series,Aluminum Alloy Spinning Lighting Pole.Conical aluminum alloy spinning lighting pole is mainly divided into two types, one is casting Aluminum, the other is spinning.Due to technological limitations, cast aluminum lamp rods are generally lower than 3 meters in height and are usually used only as Garden Lamp posts.Rotary pressure lamp rod is a kind of high speed rotary pressure of 6061 or 6063 aluminum alloy pipe with the equivalent diameter of large CNC equipment, forming a conical or shaped rod.The spinning pole is the use of foreign advanced spinning equipment,forming a whole without welding,forming a conical or profiled bar.And then polishing,remove surface oil,burr and indentation.Then after the quenchingintensity,to T6 state,in line with international standards.The product never rust,strong corrosion resistance;diversified surface treatment process,the appearance of simple fluid lines.Light weight,convenient installation and transportation;the rod body can be 100% recycling,low melting temperature. 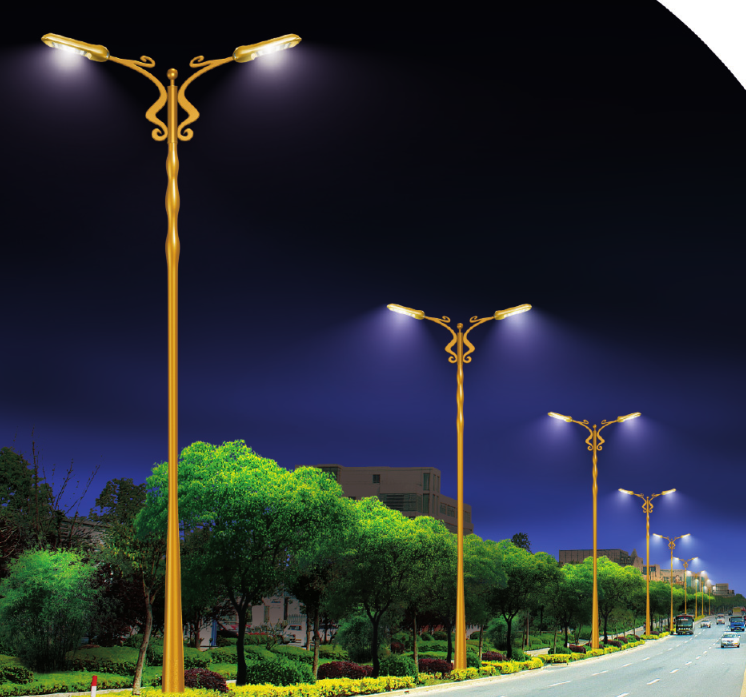 Looking for ideal Aluminum Screw Lamp Pole Manufacturer & supplier ? We have a wide selection at great prices to help you get creative. All the Aluminum Shaped Lamp Pole are quality guaranteed. 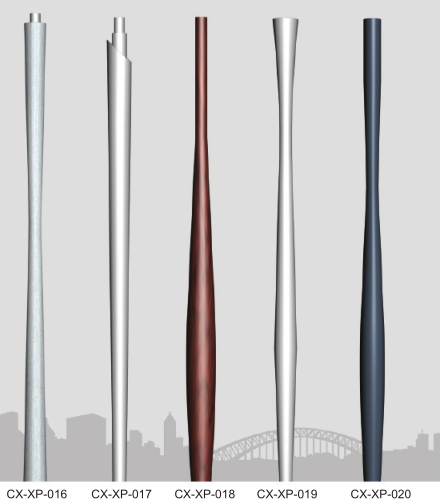 We are China Origin Factory of High-quality Aluminum Alloy Spinning Lighting Pole. If you have any question, please feel free to contact us.